The ergonomic Muvi Palm Strap Mount is designed to be held in your hand, the never drop palm shaped grip is complemented by a padded elastic strap that ensures that if you need to use your fingers you can. 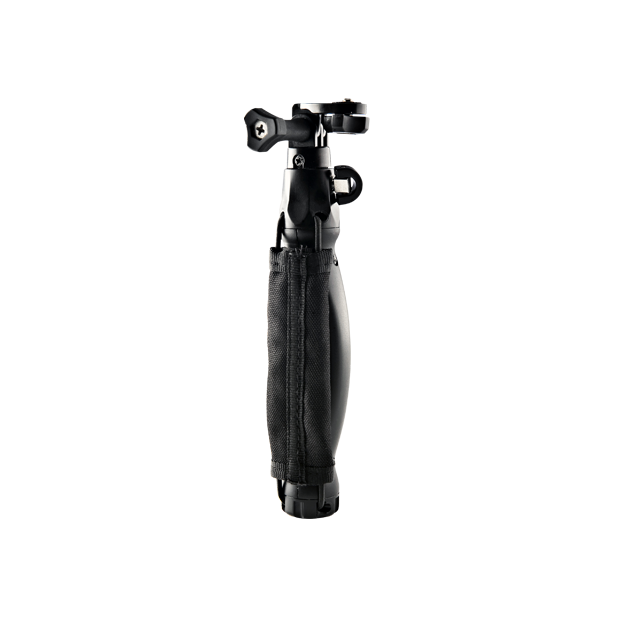 Attach your action camera using the supplied standard 1/4 -20 UNC tripod mount and the two way swivel mechanism means you can adjust the angle of your action cam whatever your activity. The perfect mount for any activity where you want to use your camera in your hand but don’t want to risk dropping it. Ideal for snowboarding, skydiving, surfing, scuba, endurance athletes and action sports.